Mitchell Watson (front right), Marketing Manager, Pepsi-Cola Jamaica is all smiles with dancehall artiste Shensea (front left) after officially signing endorsement contract with the 20-year old fast-rising singjay. Looking on are Elizabeth Swaby, Brand Manager, Carbonated Beverages and Romeich Major, Chief Executive Officer, Romeich Entertainment. 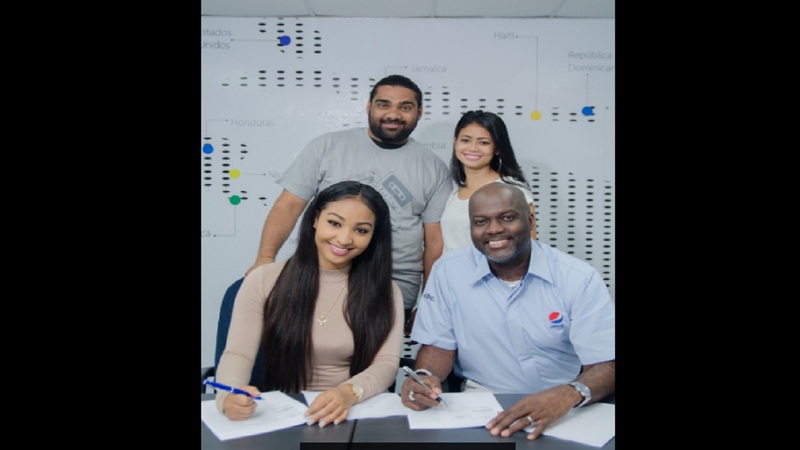 Pepsi-Cola Jamaica, distributers of Pepsi and other carbonated beverages locally, has signed fast-rising singjay, Shenseea as brand ambassador. “We are extremely proud to sign Shenseea as ambassador. We’ve been admiring her growth as an outstanding dancehall artiste and we believe she exemplifies the energy of our customers and culture of our brand with her unique style and vibrant personality,” shared Mitchell Watson, Marketing Manager, and Pepsi-Cola Jamaica. In commenting on the endorsement deal, the 20-year-old Romeich Entertainment artiste expressed her gratitude for the opportunity to work with a global brand such as Pepsi. 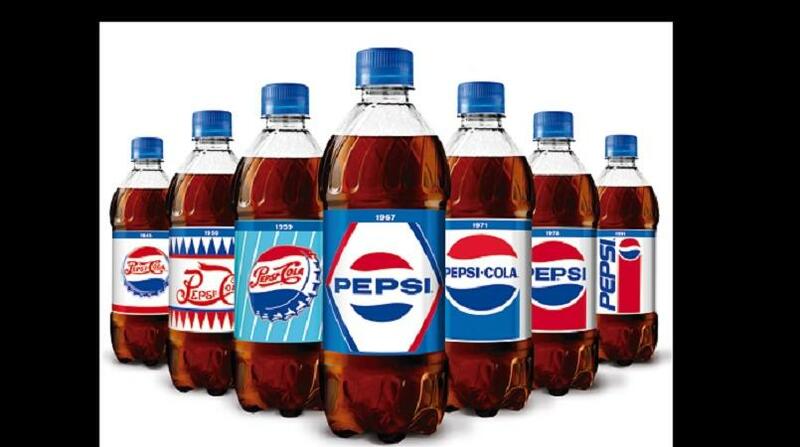 “I’m super excited about the opportunity to work with a massive and global company such as Pepsi,” said Shenseea. “As a young artiste, this is the kind of corporate partnership that will strengthen my professional and personal development and propel my music and career to an entirely different level,” she added. Shenseea announced herself on the dancehall scene with single ‘Jiggle’ in 2016 but quickly rose to fame with hit ‘Loodi’ featuring Vybz Kartel. Since then, she has been creating waves in the music industry receiving noteworthy recognition and respect from some of dancehall’s longstanding artistes, producers and deejays. "Pepsi is committed to developing and celebrating Jamaican culture and music, which is why we sponsor events such as Reggae Sumfest, Dream Weekend, carnival and many others. We believe adding Shenseea to the Pepsi family bolsters that commitment and provides yet another opportunity for us to share a journey with an artiste with incredible potential,” added Watson.